Romantic bungalow tucked away among the hills and trees on 10, 500 sq. ft lot. Nestled in the eastern hills of the Valley of the Moon sits this charming single-level home with hardwood floors, updated kitchen, master bedroom with wood burning fireplace, and inviting sun room that looks out into the lovely backyard. 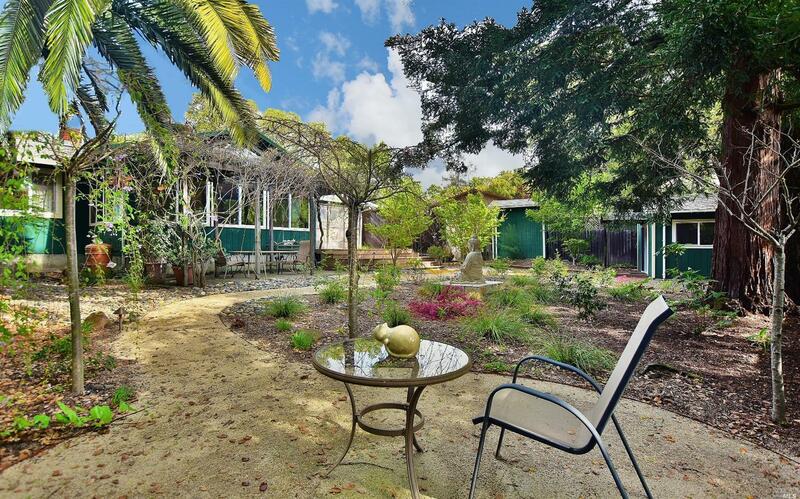 Spacious deck, mature trees and a detached workshop.